It’s a new year, so that means it’s time to get out of your comfort zone and grow as a person. At a press conference introducing the Ball brothers to their newest home of Lithuania, LaMelo and LiAngelo Ball were going through the routine questions from the media to talk about what we could expect to see from the two. But one female reporter wasn’t going to let her job get between her and her crush on LiAngelo. Evelina Pavliukovic asked LiAngelo about his relationship status and if he would go on a date with her. Sadly, LiAngelo wasn’t on the same page as Evelina. 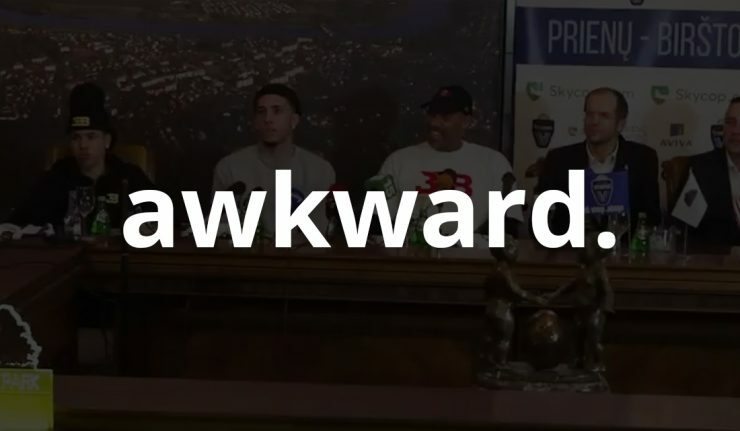 The question was met with awkward laughs, a long period of silence, and a shaken LiAngelo finally replying, “No comment on that.” It’s safe to say press conferences aren’t the best places for love connections.